March 8, 2017 | Matthew R. Arnold, Esq. Golf carts are not something most people think about as being dangerous. They generally move pretty slow, aren’t known for their sporty handling and are generally associated with retirement communities and leisurely activities. Despite their seemingly safe reputation, golf carts are proving to be increasingly dangerous, resulting in thousands of injuries each year. Unlike other dangerous forms of transportation, like passenger vehicles or motorcycles, little if any action is taken to make the golf carts safer. Their speed (or lack thereof) means that regulators and other safety officials largely ignore them, often to the detriment of consumers. First, why are golf carts so popular in the first place? The factors appear to involve convenience, ease of use, cost and environmental benefits. Golf carts are especially popular at the young and old end of the age spectrum. They make it easy for drivers too young to operate a car on their own or too old drivers to comfortably operate a full size vehicle to get out and about. In large planned communities, many trails were built specifically to accommodate golf carts, making it very easy to maneuver around, running short errands and visiting friends. 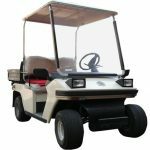 Golf carts are also relatively inexpensive and, given that most are electric, they don’t involve the expense or environmental harm that vehicles running on gasoline do. As retirement and golf communities proliferate, so does the golf cart lifestyle. As people realize how nice it is to hop and go for a ride down the street, it’s easier to venture farther afield. Driving to a neighbor’s house turns into drives to the clubhouse, which quickly becomes a drive to the neighborhood grocery store. The farther the trip, the more likely it is the golf cart finds itself on roadways that it was never meant to occupy and, more worryingly, comes into contact with vehicles much larger and much more dangerous. According to recently released numbers by the Consumer Product Safety Commission, nearly 18,000 golf cart-related injuries occur each year across the country that require emergency room treatment. An astounding 40 percent of these crashes involve children under 16. The number is pretty amazing, especially given how little attention is paid in the press. It’s clear that the majority of the harm done by golf carts impacts two groups: younger drivers and older drivers. Young drivers are more likely to be moving too quickly, turning corners at high rates of speed or moving too fast to properly control the golf cart, injuring themselves and other passengers. Older drivers aren’t as likely to speed, but are apt to lose their balance, get distracted or venture onto roads not meant to accommodate golf carts. People assume, often to their detriment, that if something like a golf cart is being sold widely it must have been vetted and approved by regulators as safe. This is simply not true. 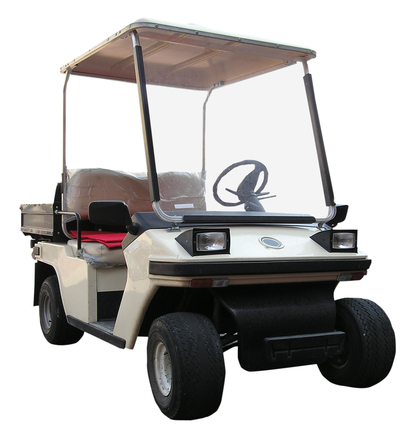 Unlike automobiles, golf carts are not required to meet any federal safety standards, including things as basic as seatbelt installation. 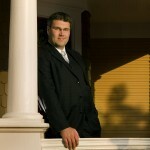 Regulations, such as there are, are handled at the state level. Given this lack of regulation, it’s no surprise that golf carts fail to include even the most basic safety equipment. So what happens if things go wrong? When it comes time to assign legal liability, fault will lie with the person who caused the harm to occur. This may be the golf cart driver, the driver of another cart, the driver of a passenger vehicle, or in some cases, the manufacturer of the golf cart. If it’s found that a faulty part played a role in an accident, then the company who designed it may be on the hook. A word of warning to parents: if your children are operating the cart and cause harm to others (such as friends riding with them) it will be you as the parent who is liable for any costs.